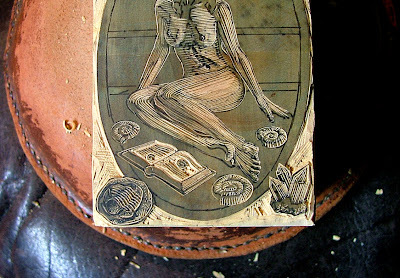 During Art in Action, I was working on an engraving to be submitted to the 37th BAREN print exchange. This is on the theme of journeys. More of this at a later date. Opposite me was the extremely talented Karen Wallis, who was working on a huge drawing done over the four days in response to the event. You can see me posing with the Albion to the right of the centre. 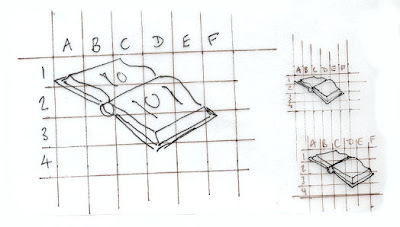 See the whole drawing here. Taking a break from printing, A practiced his engraving skills. J and A left in the early evening and I stayed to help dismantle the contents of the tent, leaving Oxfordshire at about 9pm. No floods this year, just a pleasant and gradually darkening evening in England. It was just over an hour later when disaster struck and the brakes failed on my van. As soon as I have finished my second and last Open Studio this coming weekend, I will be packing everything away to take to Art In Action at Waterperry near Oxford. Art in Action was created out of a simple observation: people are fascinated when artists and craftsmen openly demonstrate their skills and discuss their work. Bernard Saunders, then guardian of Waterperry Gardens, decided to organise an event at Waterperry based on this principle. Artists and craftspeople would work as if in their own studios, with the public as audience. In 1977, 51 artists and musicians took part and 14,000 visitors arrived. The event is now a showcase for over 250 demonstrators from a wide range of disciplines including painting, sculpture, drawing, ceramics and textiles. Art in Action 2006 attracted about 22,000 visitors. 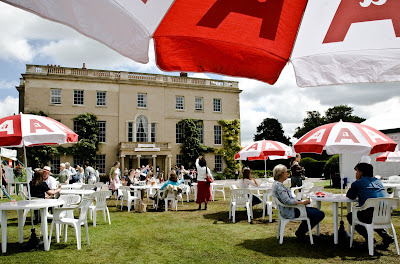 The event has expanded over the years to include practical classes (open to all ages and skill levels) , performances of fine music and dance, dialogues on arts and crafts, a craft market, and a range of refreshment facilities. To create a relaxed and friendly environment where artists and craftspeople can demonstrate and discuss their techniques with the public. To present high standards of artistic skill and creative design. To show the range of possibilities that exist in each artistic field. To bring together accepted masters and young beginners. To create a concentrated display of talent that inspires all. To broaden the knowledge and understanding of traditional arts and craft skills of other countries. To support the artist community with a high quality event that will encourage purchases and commissions. 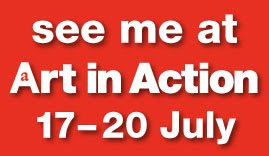 If any of you are going to Art In Action this year, do drop by and say hello at the Drawing and Printmaking tent. Despite odd showers of rain (to be expected on this final weekend of tennis at Wimbledon and so many other outdoor events) I was very pleased with the first weekend of the Open Studio. It was great to see old friends and new faces. Some people had traveled quite a distance to get here. 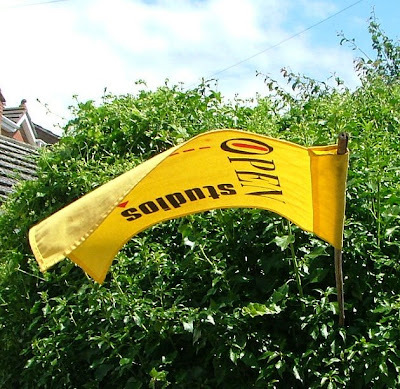 Here is a record of a quieter moment. 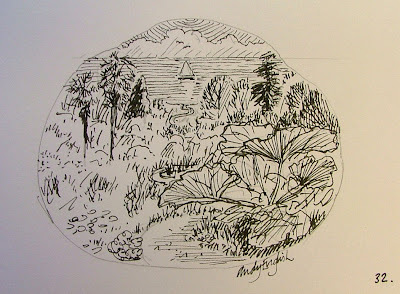 The weekend is over and I'm back to work - designing a bookplate in the garden. Its great to look up and see one of my favourite flower beds. Do drop by if you get the chance to next weekend. I am open on Saturday and Sunday between 11am and 6pm. Details here. Its that time of year again and I'm getting ready for my open studio. A warm welcome to any of my readers who might be in the Ely area during the first two weekends of July (5th/6th and 12th/13th) between 11am-6pm. See here for details (you will have to look me up in the directory). In 2007, I used a gallery space near Cambridge but this year I will be at home near Ely in Cambridgeshire. 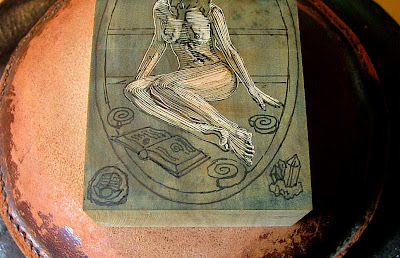 Of course, I am nowhere near ready yet - mainly because I am still continuing to work on engravings ( had originally planned to take the month of July off but I don't want to build up a big waiting list). Here is the view from the cleared space looking into the studio. You can see the small Albion through the door and cases of type outside. Well it looks like I will have a busy few days now. One of the good things about the open studio is that I will be working. I hope to have this block finished at the weekend - and the next one started. Finally, if you do make it to my Open Studio, do stop off and see our friend Heather Maunders who produces vibrant watercolours. 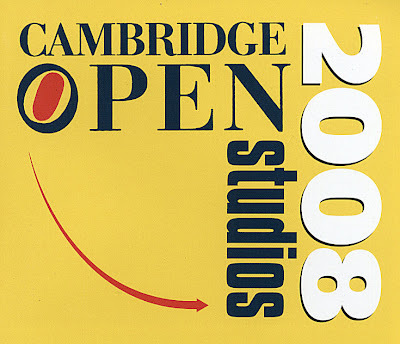 Find directions from the Cambridge Open Studios website.